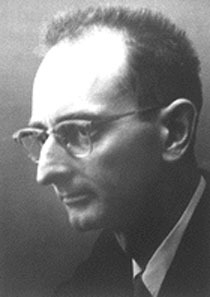 Owen Chamberlain studied under Emilio Segrè at the University of California at Berkeley, and Segrè said he noticed Chamberlain in his classes because he "amused himself by finding flaws in my lectures". Segrè became his mentor, and when the teacher took a key position in the Manhattan Project during World War II, he asked the 22-year-old student to accompany him and work at Los Alamos. After the war Chamberlain resumed his studies at the University of Chicago under Enrico Fermi, and after earning his doctorate there he returned to Berkeley. Working with Segrè, Chamberlain conducted triple-scattering experiments that led to the 21 September 1955 discovery of the antiproton, which annihilates positive protons and is unable to exist for more than the merest moments beside ordinary matter. Chamberlain and Segrè shared the Nobel Prize for Physics in 1959. Chamberlain later made headlines protesting America's involvement in the Vietnam War, participating in civil rights marches, and offering his support to the 1960s Free Speech Movement on the Berkeley campus. He investigated the diffraction of slow neutrons in liquids, uranium isotopes, high-energy heavy-ion collisions, how antiprotons interact with deuterium and hydrogen, and he was a member of the scientific team that used antiprotons to create antineutrons. He officially retired in 1989 but continued to take an active interest in scientific developments, and despite advancing Parkinson's disease in his latter years he was a familiar presence at the University until mere days before his death in 2006. He was also well-known on the Berkeley campus as a frisbee enthusiast. His father, radiologist W. Edward Chamberlain, designed the first image amplifier used in fluoroscopy. Complications of Parkinson's disease, according to Chamberlain's New York Times obituary.